Even though 100 years have lapsed since that inhuman massacre happened, the pain and agony continue to rankle in the heart of every Indian to this day. History is not a mere chronicle of events. It shows us the depths to which depraved minds can plunge and cautions us to learn from the past. It also tells us that the power of evil is transient. This was summed up most succinctly by the Father of the Nation, Mahatma Gandhi, who had once said: “When I despair, I remember that all through history, the way of truth and love has always won. There have been tyrants and murderers and for a time they seem invincible, but in the end, they always fall... think of it, always”. India and the world have travelled a long distance since the massacre at Jallianwala Bagh. Mahatma Gandhi has shown to the rest of the world how through peaceful means and non-violence even a powerful colonial power can be brought to its knees. No doubt, colonialism has become a relic of the past. But it is important for everyone to draw lessons from history and shape a better future for humanity. Today, more than at any other time, the world community needs to come together to promote everlasting peace in all the corners of the globe and ensure that sustainable development of the planet becomes the watchword at all times and at all levels, from schools to summits of global leaders. Progress cannot be achieved without peace. All countries should unite in establishing a new and equitable world order where power and responsibilities, opinions and voices are respected and wealth and earth’s resources are shared. In other words, the new world order must create a level-playing field for all countries. We should ensure that multi-lateral forums are not dominated or influenced by a few powers and communities. The voice of every nation will have to be taken into account. It is this approach and perspective which India applies whenever reviewing or addressing global issues. It is against this background that India and some other countries have been asking for a more important and significant role in the UN Security Council. In fact, from time immemorial, India believed in the philosophy of Vasudaiva Kutumbakkam and viewed the entire world as one family. In tune with its civilisational values, India never nurtured any aggressive or hegemonistic designs at any point of time although it was once known as ‘Vishwaguru’ and contributed about 27 per cent of the global GDP. Despite its pacifist tradition and remaining wedded to the philosophy of non-violence, India became a victim of successive foreign invasions in the past and of terrorism in the past few decades. Terrorism has become the biggest threat to humanity today. Several countries across the globe had to grapple with an upsurge in mindless violence while India had been victim of numerous terrorist attacks for decades. Stamping out the scourge of terrorism brooks no delay. The United Nations and the world leaders need to accord highest urgency to completing the deliberations on the Comprehensive Convention on International Terrorism (CCIT), which has been pending with UN for too long — ever since India proposed it in 1996. Nations, which use terrorism as a state policy, should not be allowed to hold the rest of the world to ransom and need to be isolated internationally. Fundamentally, the channels for financing terrorism have to be cut off and sanctions need to be imposed on such nations. To accomplish this objective, the international community has to come together as one to ensure that no single country promoting terrorism feels safe and insulated from punitive action. All countries must remember that terrorism spares no one in the final analysis. No one can quite predict when it could afflict a country, which may choose to look the other way today. It can be wiped out only through mutual understanding of the real threat that terrorism poses to humanity and a true appreciation of the need to battle it unitedly. With technology revolutionising every aspect of modern life on an unprecedented scale and virtually reducing the world to a global village, the international community should seize this opportunity to transform the lives of millions of people in the poor, underdeveloped and developing nations. All countries should come together in combating climate change and sustaining the natural resources as nobody has the right to jeopardise the life of future generations and the planet itself. Once again, I would like to recall the profound words of the Mahatma, who had said that the earth provides enough to satisfy every man’s needs but not every man’s greed. 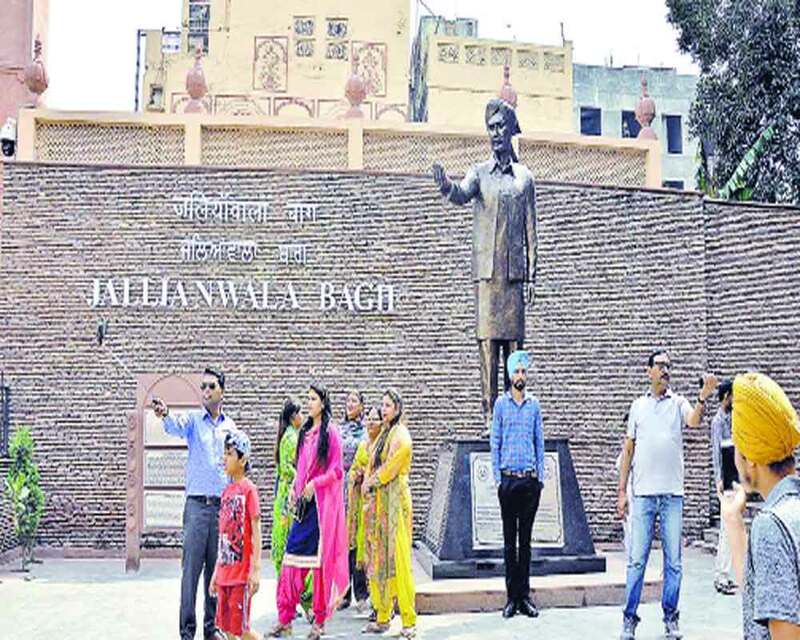 Before concluding, I would like to appreciate the efforts of the Government in showcasing photographs, paintings and newspaper clippings depicting the authentic account of Jallianwala Bagh massacre at Yaad-e-Jallian Museum in Delhi.